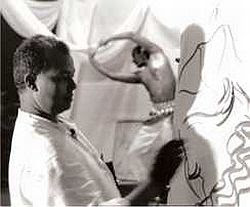 The inspiration suddenly came to artist Subodh Poddar during a dance performance in Mumbai in December 1988. 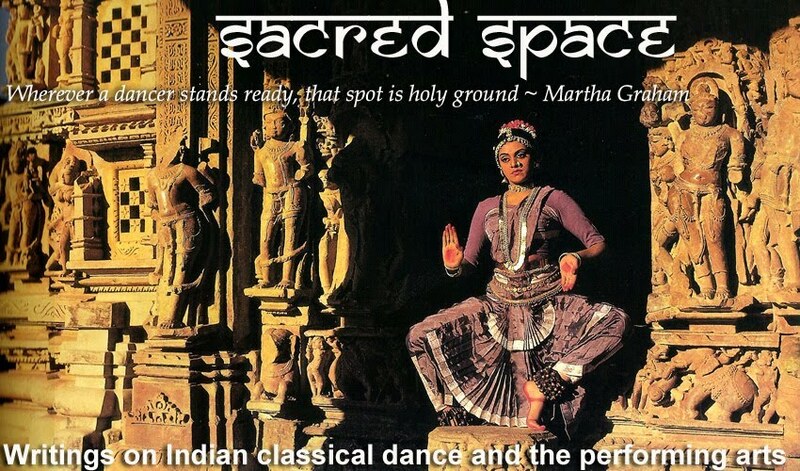 Four great dancers: Birju Maharaj, Kelucharan Mohapatra, Sanjukta Panigrahi and Sonal Mansingh were all taking to the stage on the same evening. “This was an electrifying experience and the first time I felt like drawing dance live,” Subodh says. Using a black pen and the bright red invitation card as his canvas, he attempted to capture the energy of the dance movements he was seeing on stage. Soon both sides of the card were covered with his sketches. He then borrowed his neighbour’s card and continued drawing. While an art student at the JJ Institute of Applied Arts in Mumbai, he would diligently work on the twenty sketches he was required to produce every day during his long morning commute on Mumbai’s suburban trains. Using his pen and sketchbook, he would capture the scenes of everyday life he caught glimpses of through the train window. This is how he learned to capture these blurred, passing images, which he feels is not different to drawing fast-moving dance. I met Subodh last year at the Dance Jathre organised by Kuchipudi dancer Vyjayanthi Kashi in Bangalore. He was there exhibiting his big, colourful acrylic paintings of Indian folk dancers. He showed me his vast portfolio of the ink sketches he has created over the years of many Indian classical and contemporary dancers. I was struck by the beauty of line and simplicity of these sketches. What most impressed me was that with just a few stokes of a brush he had managed to capture the essence of each dancer and each dance style. 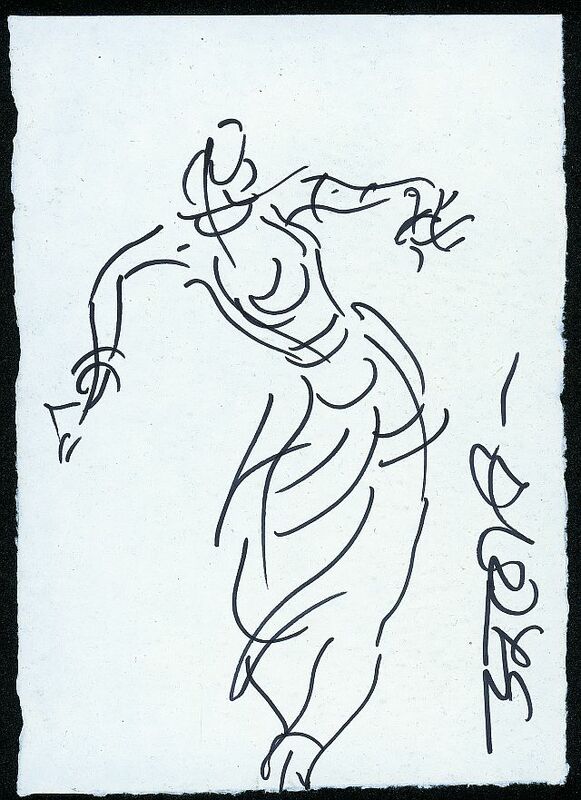 What inspired you to draw dance? I started doing this as a release from my advertising work, thinking that one day I would transform all my sketches into paintings on canvas. But a dear elderly friend pointed out that my sketches are good enough and worth exhibiting and that very few artists are doing this kind of work… With this inspiration I have continued with Dancescapes for more than 20 years now. Which is the medium you use and why? I use pen on paper most of the time. I go to dance performances and sketch from my seat. I can’t carry large paper or an elaborate medium that would end up disturbing others. But when I visit a dance school or a workshop I carry my easel, paper and ink. 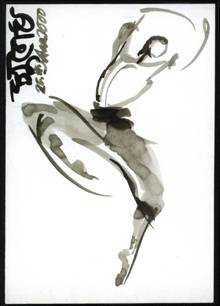 There I use various kinds of brushes to suit the dancer’s body language. I love the effect of Chinese ink on rice paper; but it is very difficult to manage the slow drying of ink. On canvas I have painted with both acrylic and oil. Brush and ink also creates a lovely effect on Indian silk. Is there a dance form which you prefer to draw? How is each different to draw? What are the challenges of capturing movement on paper or a canvas? Art is composition. So the first challenge is to finish even before I’ve started, as my sketches happen in seconds. I have to be able to see the image before putting pen to paper. I have to eliminate unwanted details like costume and jewellery to be able to get to the essence of a dancer’s body. I work only in black so the elimination of colour is also a challenge. I love to be challenged by an ever-changing body. I love to capture a movement in minimal lines – though I very often fail! I love to find my Birju Maharaj identified as Birju Maharaj and Mallika Sarabhai as Mallika. I don’t crop my drawings afterwards and I don’t sign the ones that are not perfect in all three parameters… composition, anatomy, and grammar of dance. How do the two art forms inspire each other? Does this allow you to engage with the performer? How do dancers react to your work? 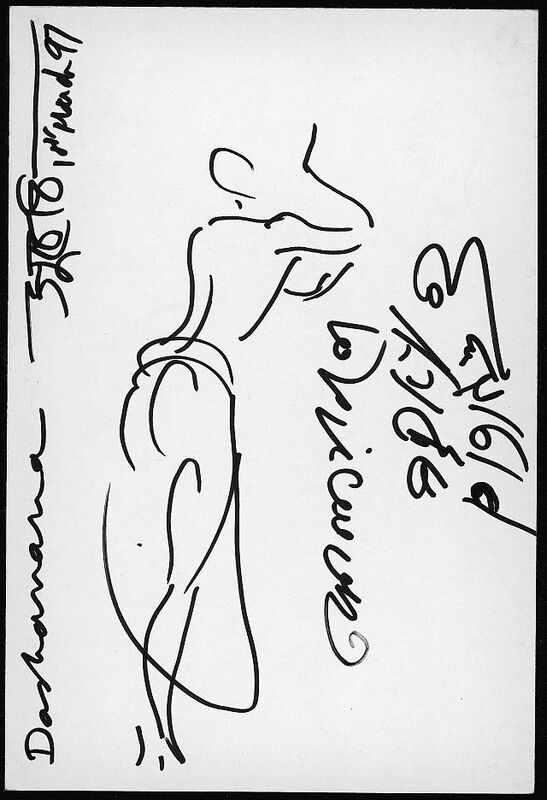 Mallika Sarabhai saw my work and said to her students: “Shouldn’t we get inspired by Subodh's work like he gets inspired by ours?” When I asked Mrinalini Sarabhai to autograph one of my sketches she wrote: All movement is life intensified. She was so right! Once I went backstage to take Birju Maharaj’s autograph. He carefully studied all my sketches and said: “I will sign all your sketches if you give me one." This is the best compliment I ever got! 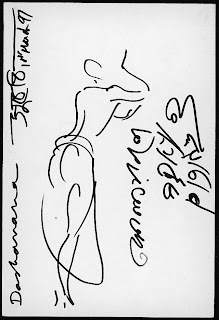 Kelucharan Mohapatra would always say: "I can also draw," and draw a dancer in the corner and then sign. 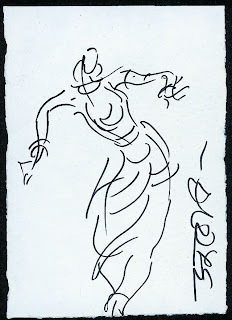 My friend Antonella Usai, an Italian Bharatanatyam and contemporary dancer said: “From Subodh's drawings we get to see the movements that were created and also died on the stage.” I say: I follow Buddha. I live in that moment and capture the moment that goes past that very moment! Parts of this interview were featured in an article published in the Summer 2010 issue of Pulse magazine. 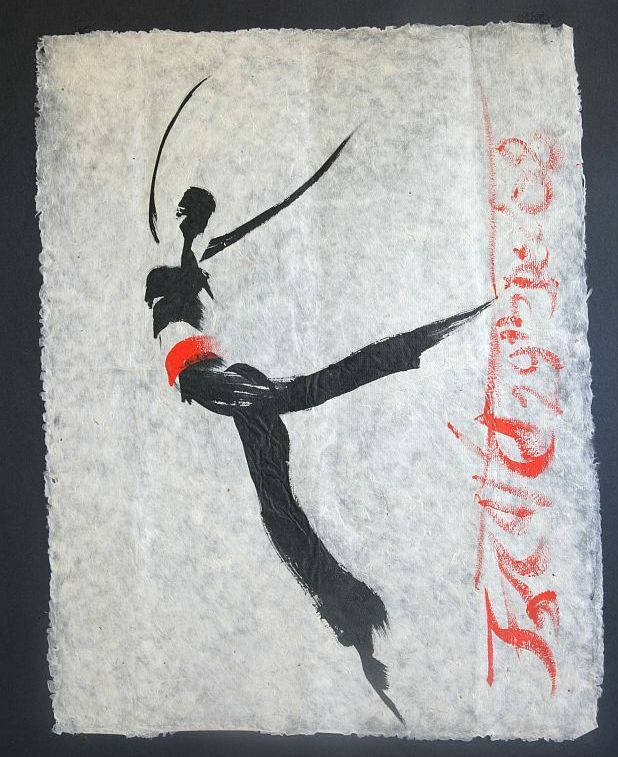 To see more of Subodh Poddar's work, visit Dancescapes. Images courtesy of Subodh Poddar. 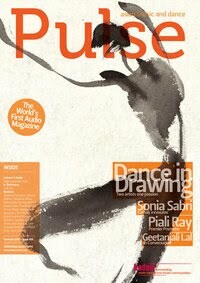 Dance s so close to visual poetry, and it is lovely to see it captured on paper. Very interesting post.